Can you believe it's almost Easter? 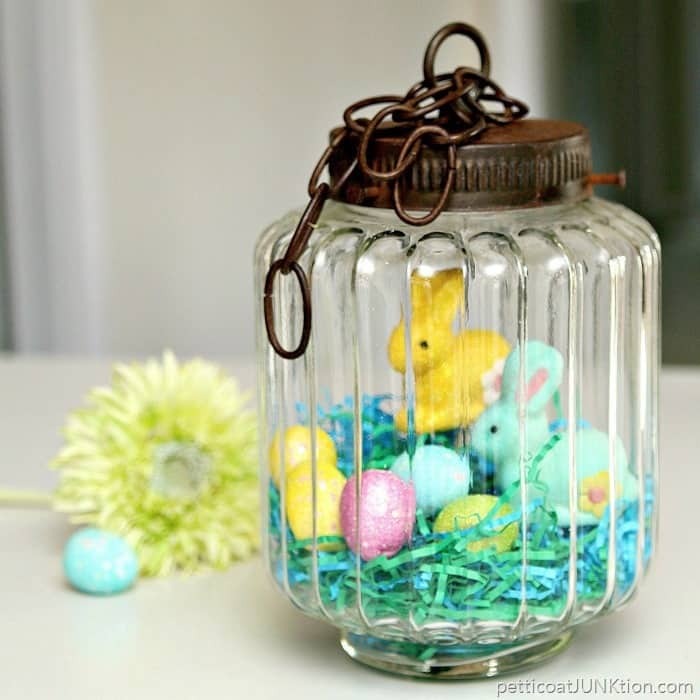 Since I did a roundup of more than a few St. Patrick's Day projects and inspiration, I thought it would only be fair to show Easter some love too. 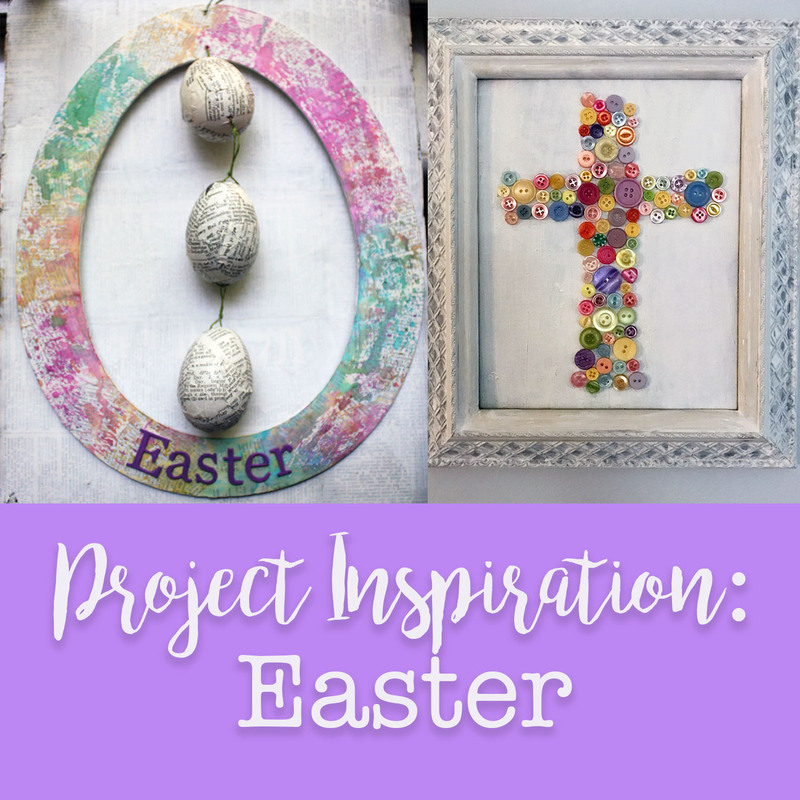 Here's a list of ten Easter projects that caught my eye and will hopefully inspire you too! I absolutely cannot resist a good junk upcycle. And, this old lamp turned cloche Hoppy Holiday Decoration from PetticoatJUNKtion totally fits that bill. Again with the upcycling! 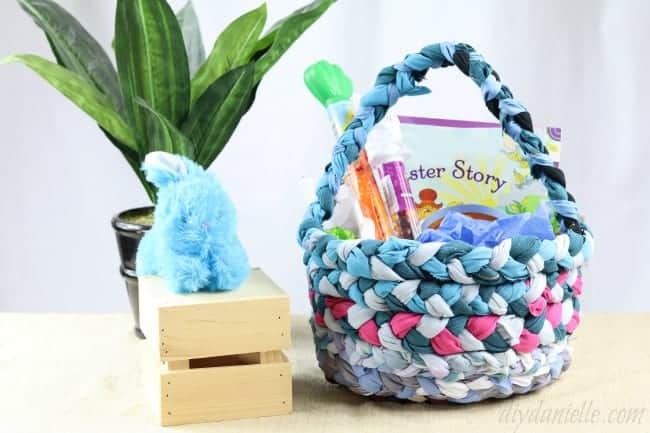 But, the Scrap Fabric Basket from DIY Danielle is so fab. I can see using it outside of Easter. And, it reminds me of rag rugs, which I do love. I'm always amazed at the ways Sadie comes up with to recycle items This Spring Doily Table Runner at Sadie Seasongoods would be great for Easter or all Spring long. While we're thinking about doilies, how about these Doily Baskets from Martha Stewart? They're just so sweet! 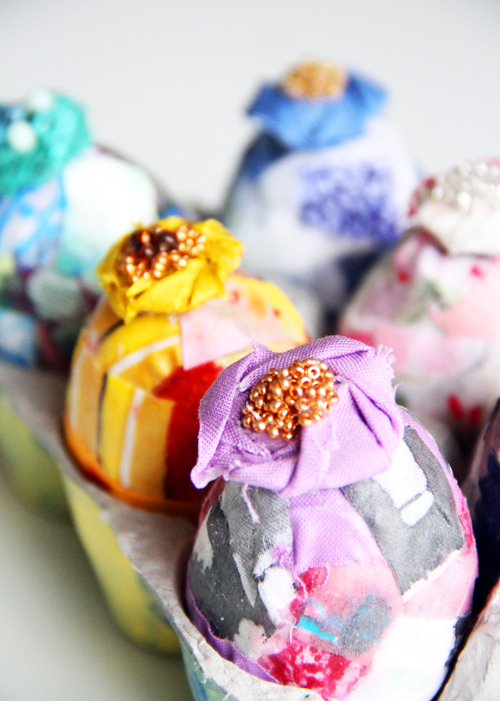 More mixed media fun can be had with I Love to Create's Scrappy Little Easter Eggs. Fabric, glue, beads - what's not to love? Look at these adorable chicks! You can get your own Little Chick with Big Feet Embroidery Pattern at Shiny Happy World. What roundup from me would be complete without a jewelry project? The Bead Bunny Necklace DIY at Make and Fable is the perfect little project for Easter. 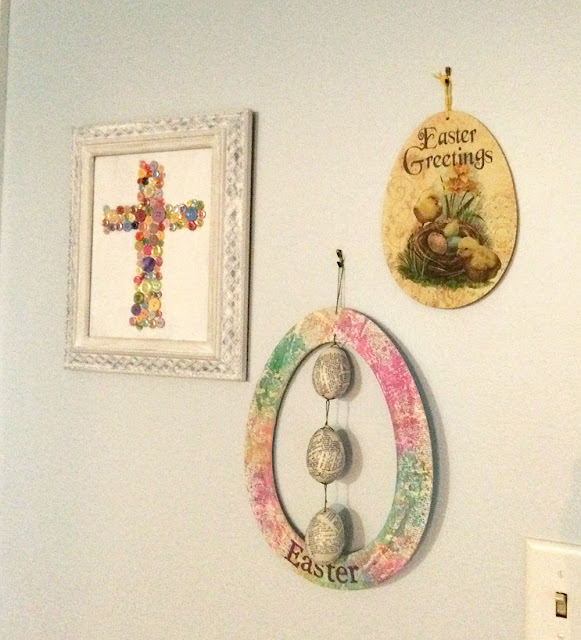 And finally, I've got a few of my own Easy Easter Decor projects from last year if you're interested. I have to admit that I have another project to share with you but the video didn't want to upload last night so I'll have to try again and share it with you separately. I'll let the anticipation build a little. Ha! I hope these projects spark your creativity and inspiration! If you've got your own Easter project to share, please let me know in the comments. I'm sure we'd all love to take a peek. Cute projects Hope! I love those scrappy eggs! Lots of great projects here. Thanks for sharing.